Meg over at Designer's Library wrote about the most amazing art nouveau illustrations by Liselotte Watkins of Sweden. I have a huge crush on these prints, aren't they beautiful? 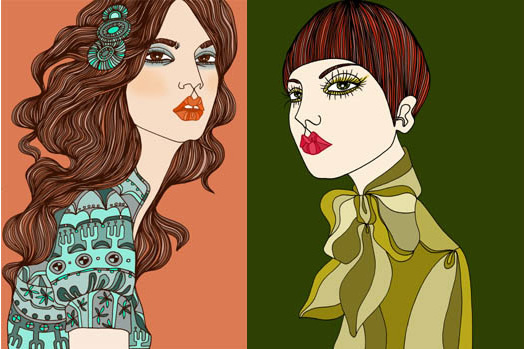 The stunning colors, luxe eyelashes that look like lovely fans, juicy pursed lips... and great fashion! 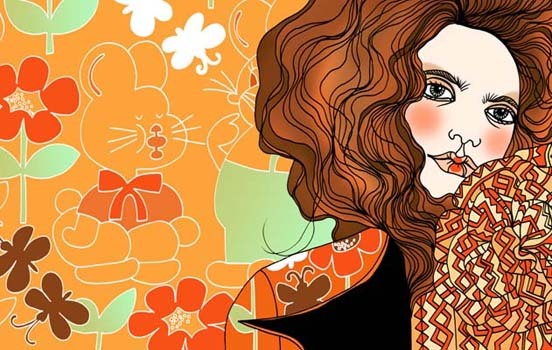 You'll love watching her illustrations come alive in this animation . Turn the speakers up, the music is the cutest!